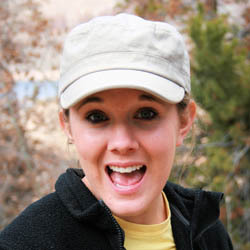 Today’s Expat Spotlight interview is Hannah Nichols, a twenty-something Colorado girl who has a major travel and playing outside bug. She’s back in the US now after a stint of teaching English in Budapest, Hungary. After I graduated from university, I got a little restless trying to find teaching jobs in the States. I was lucky enough to already have an extensive list of places I’d been growing up, and the travel bug got the best of me. I decided to take a year off of “real life” and teach English to 1st and 2nd graders at a bilingual school in Budapest, Hungary. I spent the year playing hide and seek in the hallways between classes, traveling, eating amazing food, and even fell in love with an amazing American guy in the process! Couldn’t have had a better experience. Aside from studying abroad in Lancaster, England and backpacking Europe twice, my year abroad in Hungary was my first time living abroad. This advice goes all the way back to my days as a child singing in choir at church. Somehow the song “This Little Light of Mine” went through my head constantly in Hungary…particularly the line “don’t hide your light under a bushel!” I guess I have my old choir director to thank for that one! As an expat, you can go into your experience with a plan and an idea of what it’s going to be like. Also know that plan will most likely be completely changed and blown out of the water. Roll with the punches, and you’ll have an experience beyond anything you could ever have “planned” out in your head. I just returned back to the States for a few months attending weddings and enjoying my new nephew, but I am going back to Hungary in January of 2010. While in Hungary I spent my days teaching English to 1st and 2nd graders. They were brand new to learning English (as I was to Hungarian! ), and I can’t tell you how rewarding it was to see how much they learned and how much I learned from them. It would seem like teaching a language to someone who doesn’t speak your own would be impossible, but it’s not! I would absolutely recommend Hungary as a location for other expats! As a country, it has come such a long way since The Wall came down in 1989. Yet, the country still has it’s own unique character that helps it to stand out as a Central European country. While communism is long gone in Hungary, you can still see the remnants of it scattered around, but you can also easily see the progress that has been made. Hungarians are very proud of their history and culture, rightfully so. The history, the cuisine, the culture, the landscape…it’s all appealing to me! You’ll get a much different experience here than in Western Europe, and that’s the beauty of it! 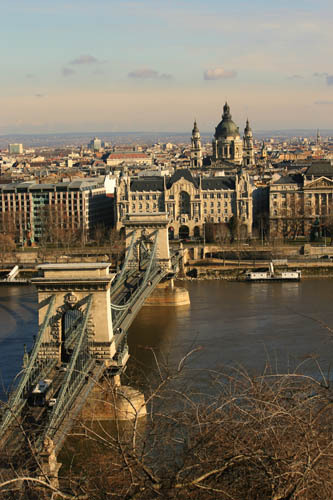 The expat community in Budapest is thriving! I was able to connect with people easily there by just being intentional about finding places to connect. Outside of Budapest, the expat community in Hungary is much more sparse, but in my travels, I came upon expats in the most surprising of places sometimes. Thank you, Hanna, for participating in our Expat Spotlight! We wish you success and happiness in your current location, and wherever your dreams and business endeavors take you. Hooray Hanna! You’ve definitely sparked the travel bug in me as well… As soon as I raise enough funds I plan on taking some trips around the globe. Who knows, with a husband as a member of the EU, maybe I’ll even become an Expat in Europe as well! I LOVE YOU!!!! Thanks for sharing fun stories and awesome pictures with us! As happy as I am that you loved Hungary so much and that you FELL in love while you were there, I’m still glad that you’re back here to play with us for a least a couple of more months! Love you friend. I was wondering what kind of credentials you’ve got since I’m considering getting some myself. Do you have a TEFL certificate?